Happy Mother's Day! 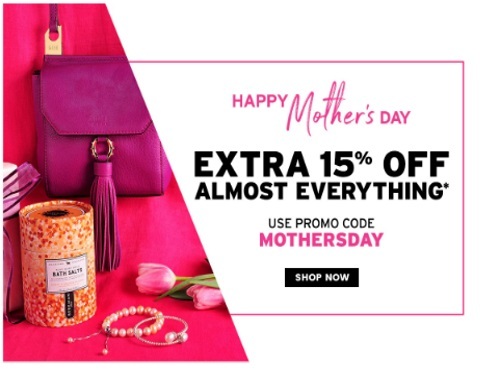 TSC (The Shopping Channel) is celebrating by offering 15% off almost everything! Enter the promo code MOTHERSDAY at checkout to get the discount. Offer is valid May 13 2017 at 10pm ET to May 15 at 6:59am ET.